Melanoma is a very real threat out here. Never mind. 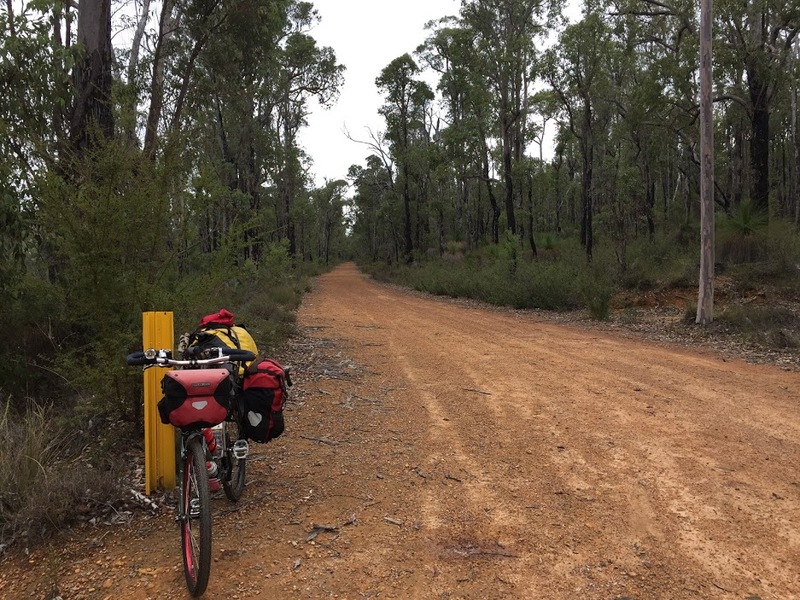 The sky is still pretty, and I’m here to ride the Munda Biddi*, a 1,000km off-road cycling trail that runs from Mundaring just outside of Perth, all the way to the old whaling town of Albany at the south-western tip of the island continent. I’m not that ambitious though, I only plan to ride about a quarter of it. 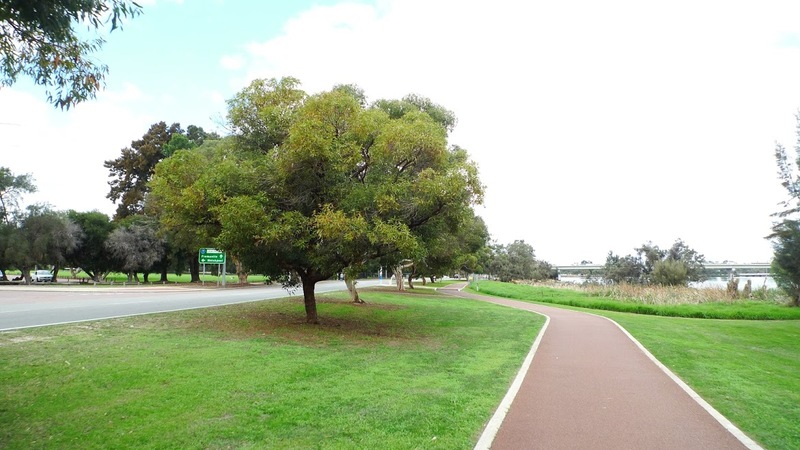 *Munda Biddi means ‘Path through the forest’ in Noongar aboriginal language. 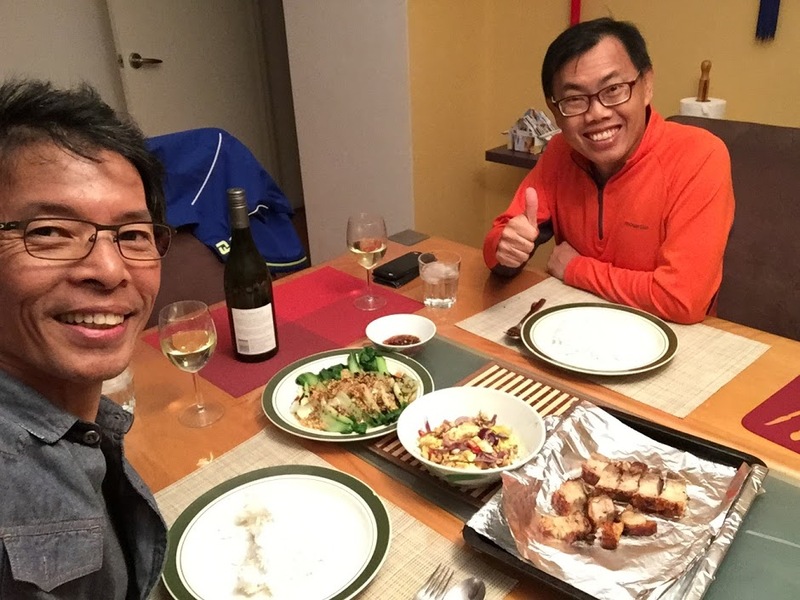 In Perth, I’m a guest of my dear friend, Pastor Alvin Lee. 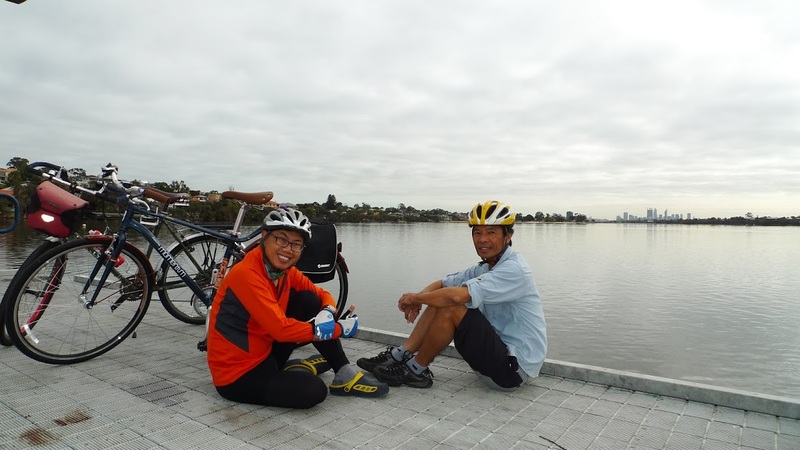 Alvin has a two-fold approach to life – loves folding bikes and loves the fold in his care. 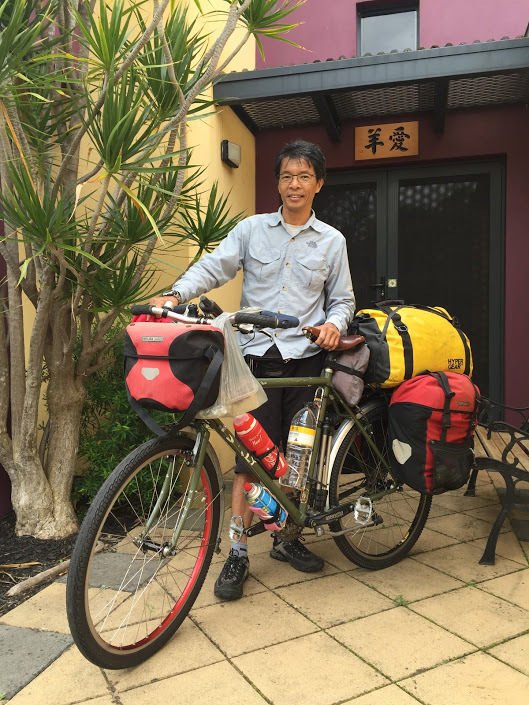 He’s a man who lives for adventure, not just on wheels (both pedal- and horse-powered) but through his calling in life as a pastor. 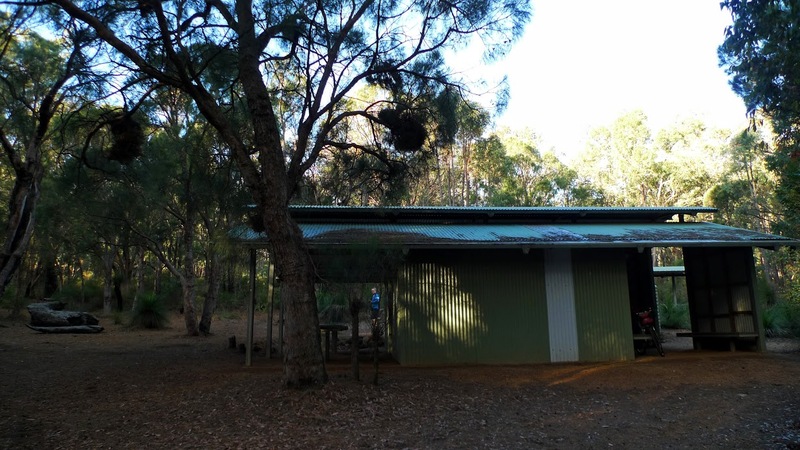 Love The Fold HQ, as Alvin calls his home in the pretty suburbs of Karawara, is my base while I make final preparations for my Munda Biddi adventure. Riding into the city with Al and our friend Carolen. 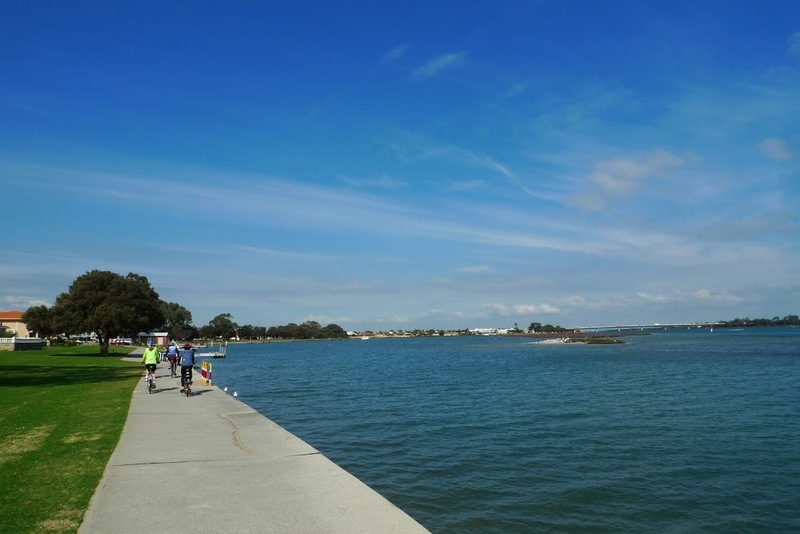 The cycle paths here are a joy to ride. 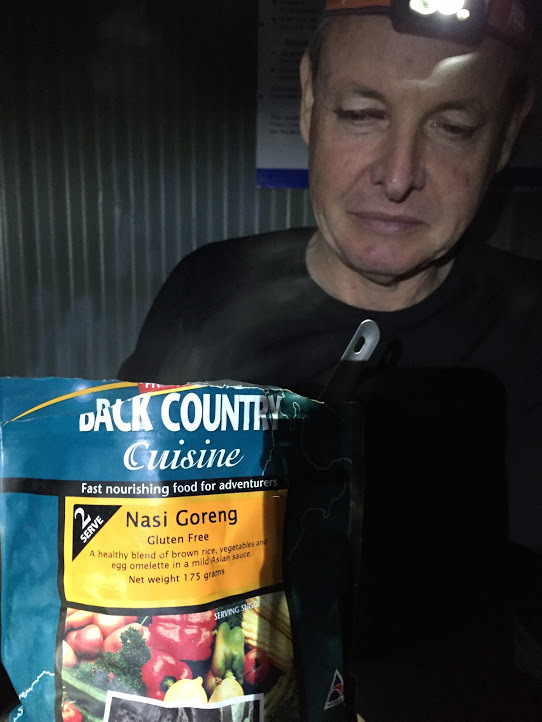 I’m already stocked up on a few days’ supply of food – oatmeal, cans of sardines, tuna and assorted stews, ready-to-cook pasta packs, Lebanese bread and my favourite trail food – peanut butter. And I could not pedal out properly every morning if I didn’t have my freshly ground and Aeropress-brewed coffee. The combined weight of a hand-held grinder and an Aeropress is very negligible if you’re a caffeine addict like me. Once inside the trail, re-supply can only happen at towns that are usually 3 days apart in between campsites. 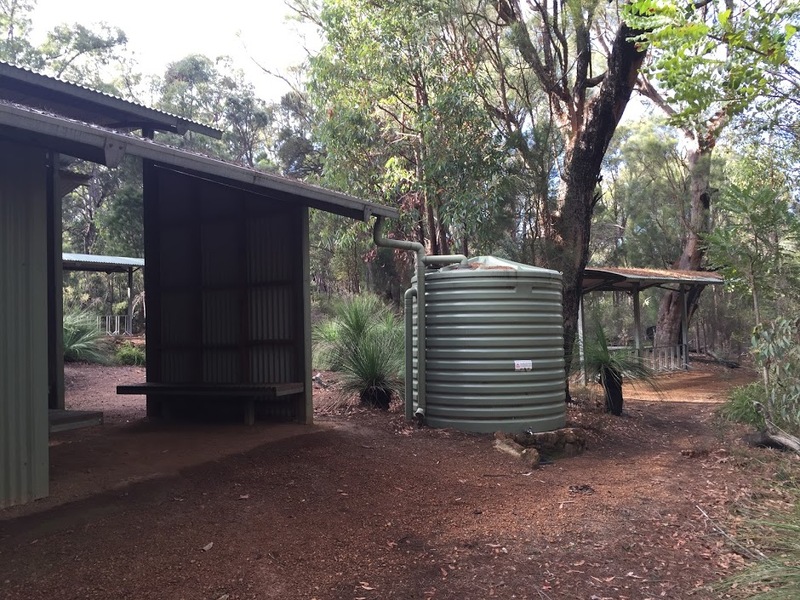 Water, according to Munda Biddi’s website FAQ, would not be a problem though, as there are water tanks filled with rainwater at all the purpose-built campsites. I take my time getting ready on the first day of the ride. 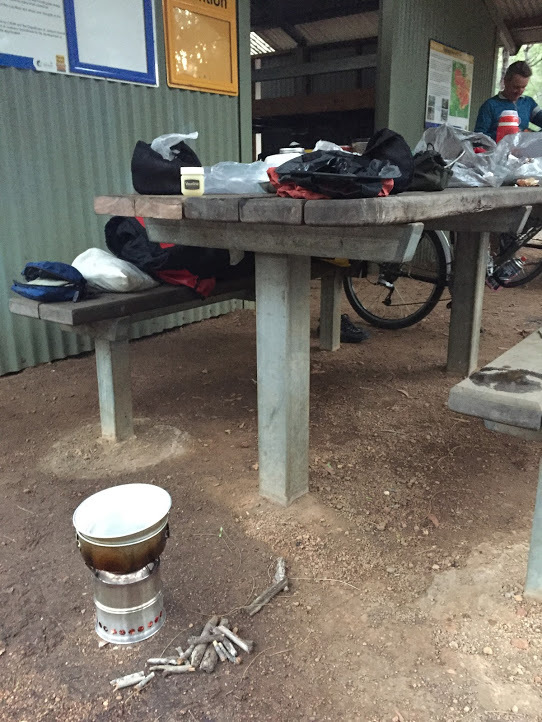 The plan is to arrive at Carinyah campsite (the first one on the trail) before sundown. 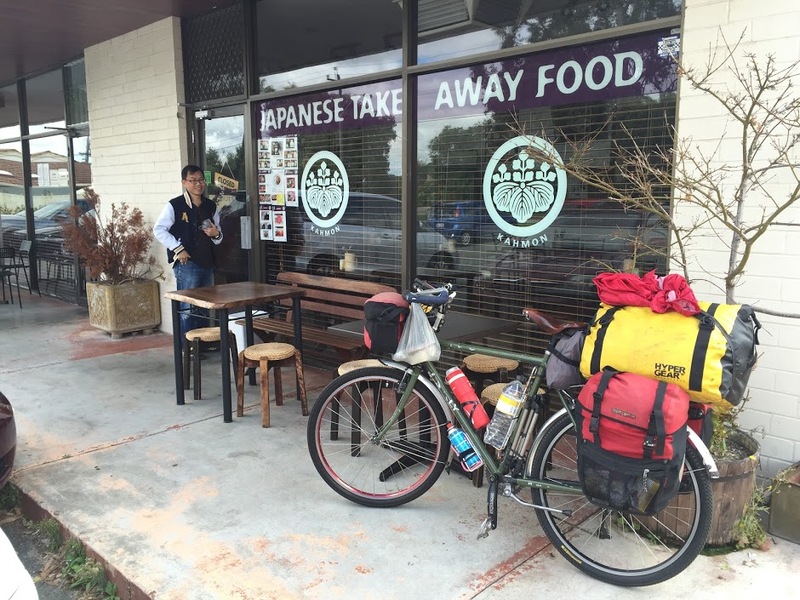 It’s already getting on noon so Alvin suggests an early lunch at a friend’s Japanese restaurant, Kahmon; which is somewhat enroute to Munda Biddi. Yes, please. 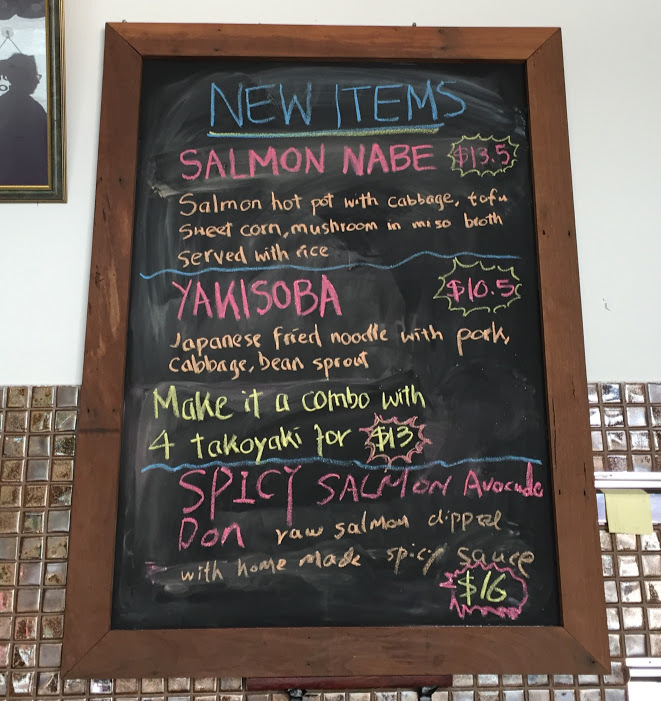 I try never to say ‘never’ to Japanese food’. 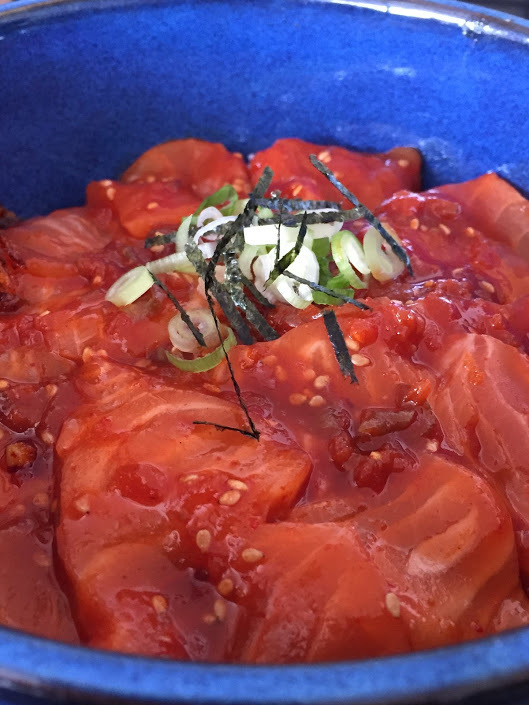 Philip, the owner and chef, serves us his very awesome version of Spicy Salmon Avocado Don – a bowl of rice topped with generous slices of fresh salmon sashimi and avocado doused with a superb spicy sweet sauce. Couldn’t have asked for a more delicious start to my ride. Normally, cyclists attempting the Munda Biddi start their ride from Mundaring (if it’s a north-south journey) but seeing as it’s about 40 kms away from Al’s house, then another 40 kms on the actual Munda Biddi trail before I get to the campsite, I decide to cheat and head straight for Carinyah campsite via the Albany Highway instead. I’m not planning to ride the whole thing anyway, I just want to explore a portion of the Munda Biddi. 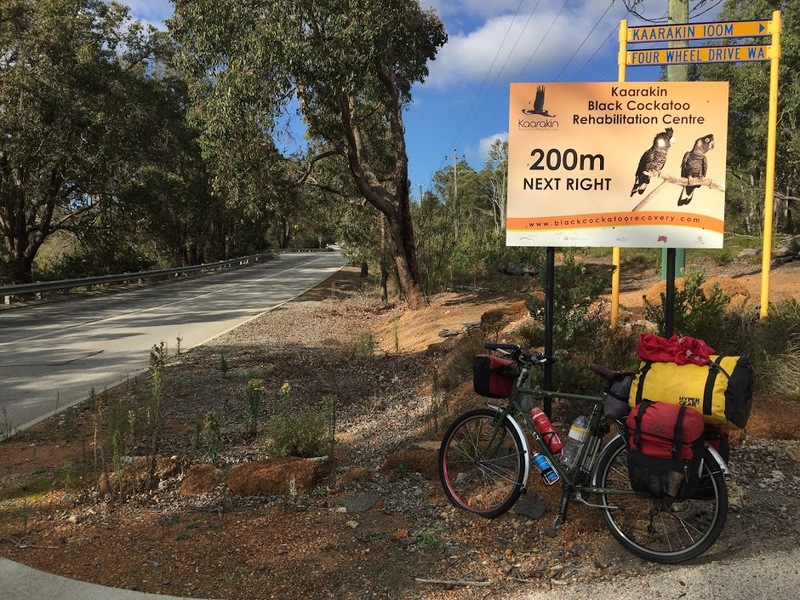 1,000kms of the same Australian bush scenery (I suspect it is) would have taken me a month at least. 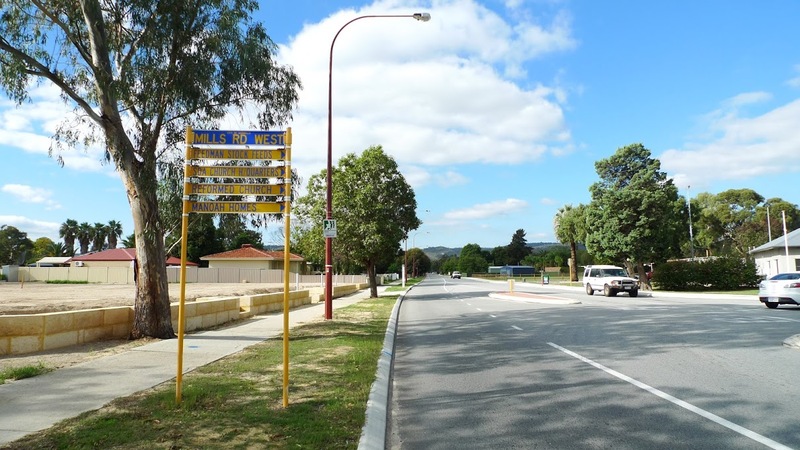 The sun is shining bright and hot as I ride through some quiet suburbs dotted along the highway — Wilson, Cannington, Beckenham, Maddington, Gosnells – they sound like typical English villages. 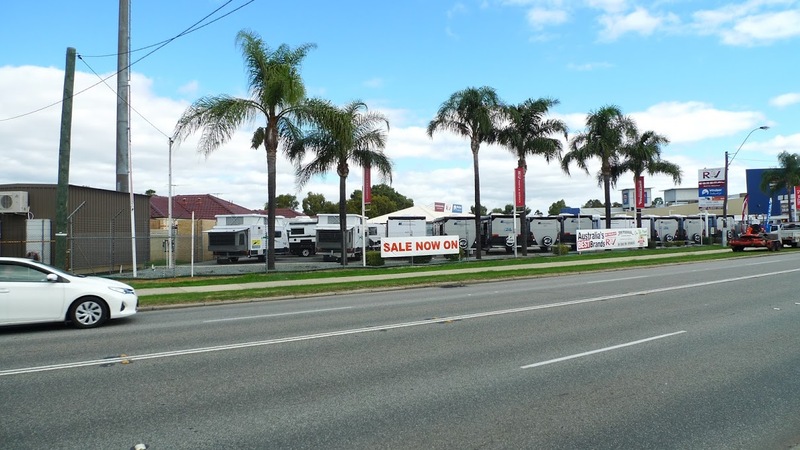 Albany Highway is not particularly busy, nor is traffic going at breakneck speeds. Everyone seems to be keeping to the highway’s speed limit. Very well-mannered drivers, these Aussies are. 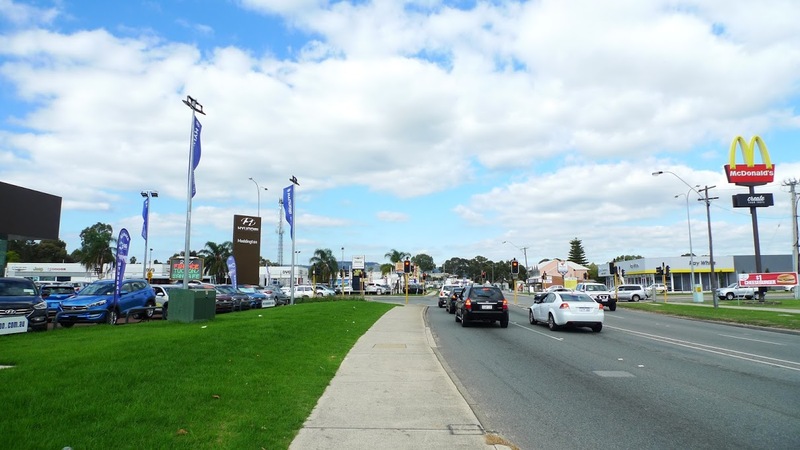 At Gosnells, I turn off into Mills Road. Traffic is almost zero. 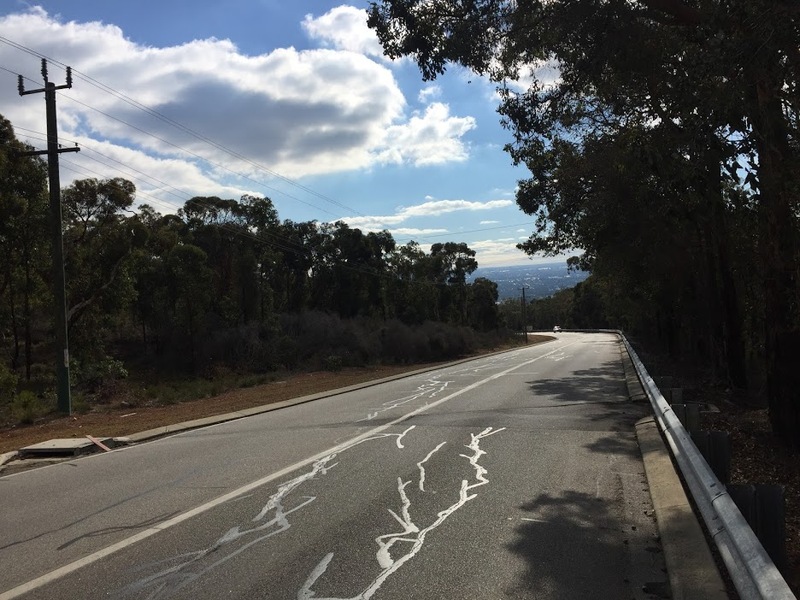 From here, it inclines gently as the road head into the hills of Mundaring State Forest. Looking back, I can see Perth down below. The climb is gradual. From Canning Mills Road, I turn off into Dale Road. 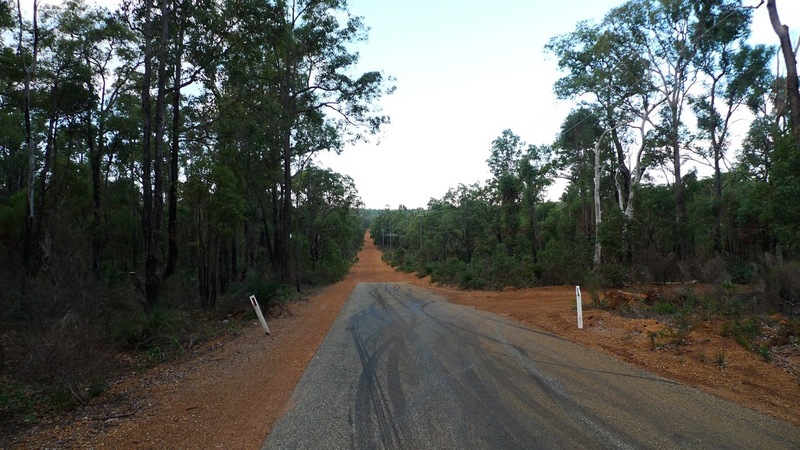 Soon, the sealed tarmac gives way to the familiar ochre coloured dirt of the Australian outback. I’m officially in the bush. By now, the shadows are getting longer and the temperature slowly dropping. 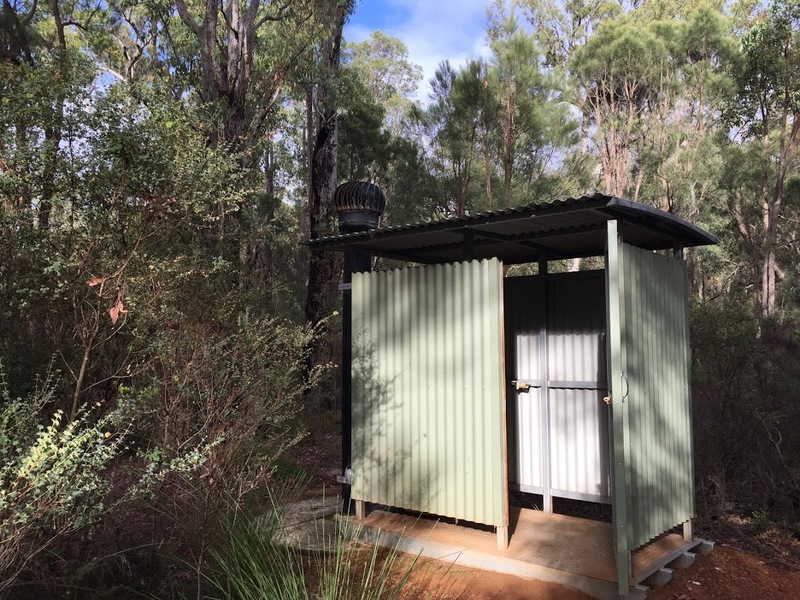 There’s a very distinctive quiet in the Australian bush, unlike the cacophony of a tropical jungle which I’m so used to. 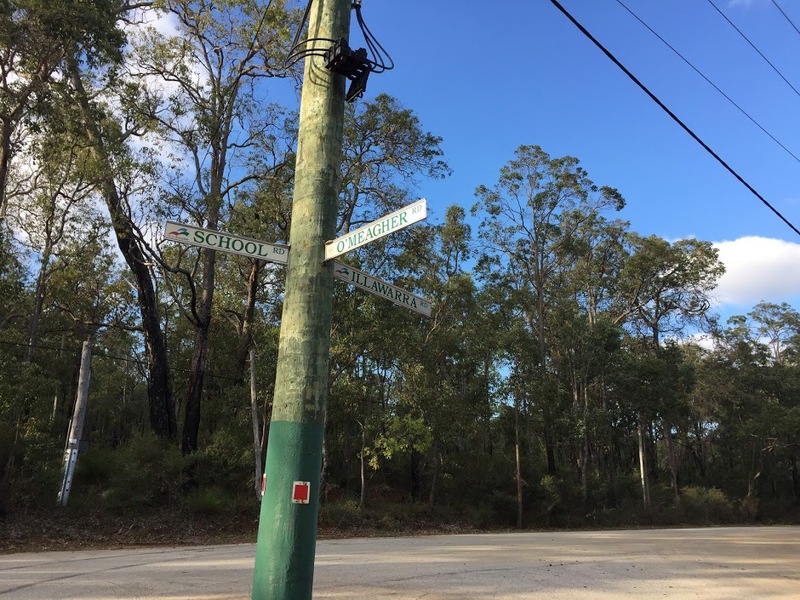 Ahead of me is a crossroad, where the official Munda Biddi Trail cuts across Dale Rd on its way to Carinyah Camp. Just as I reach the crossroad to turn into the trail, I see a rider with a fully-loaded mountain bike emerge from the opposite side. 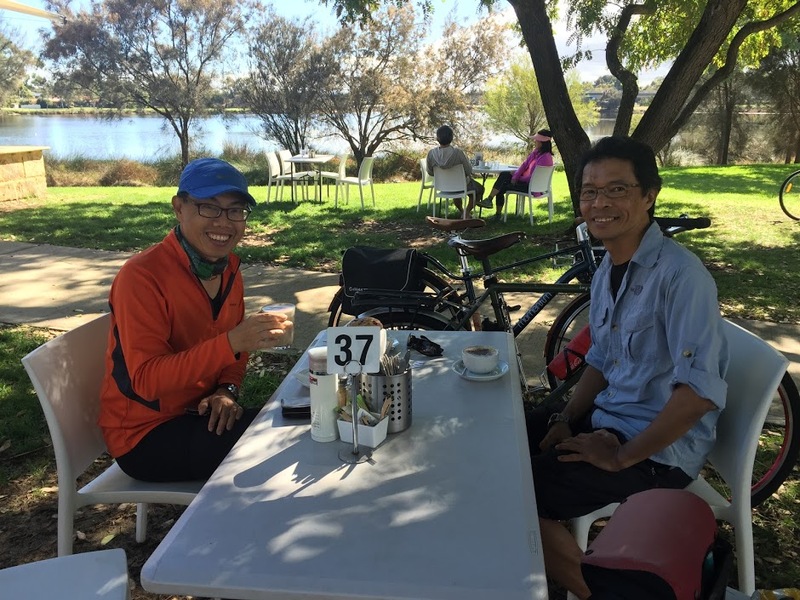 Unlike me, he started from Mundaring sculpture park, the official starting point of Munda Biddi in Perth. Alexander Calder a.k.a. 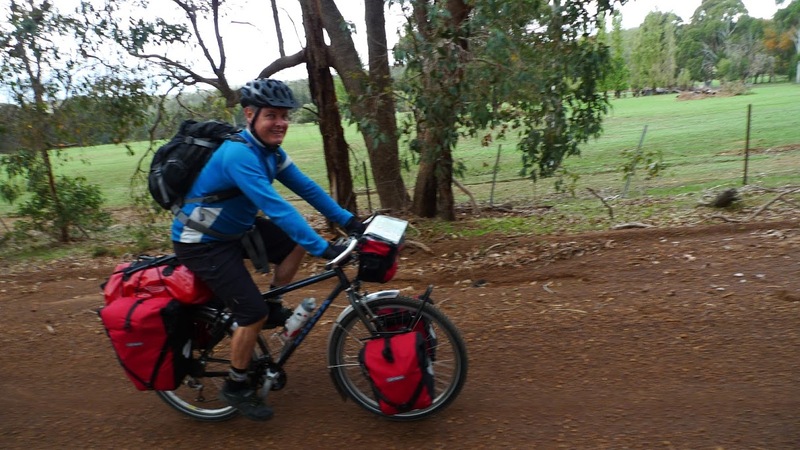 Sandy, from Sydney, on his first-ever cycle-touring adventure (an off-road one at that). 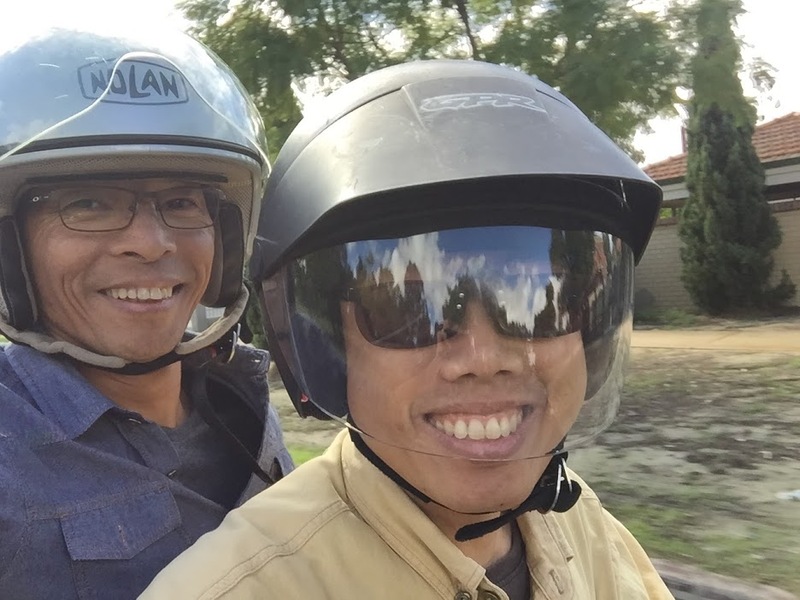 Unlike me, his is an Albany-or-bust Munda Biddi ride, all 1,000kms of it. 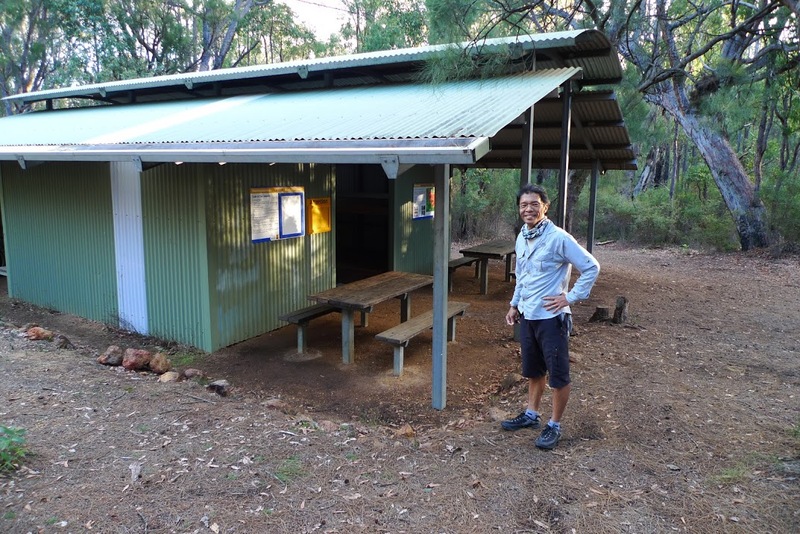 He ends up being my camp mate for the next 6 days of my Munda Biddi adventure. The evening sun is just about to dip into the horizon as we make our way to the campsite, a short ride away from Dale Rd. 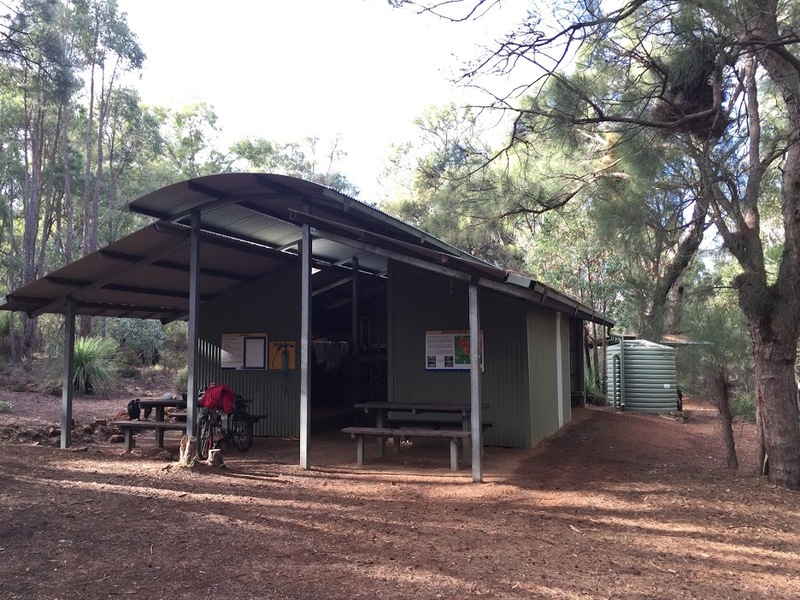 Welcome to Carinyah Camp. The campsite is impressive. 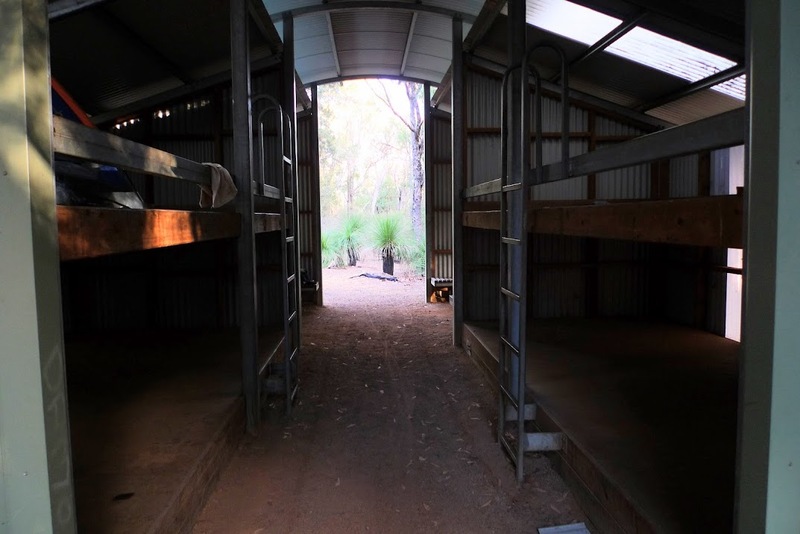 Purpose-built for Munda Biddi riders, it has bunks, 2 huge water tanks, a dining area, a covered bike shed, a self-decomposing toilet, and even a bike repair area. Campfires are not allowed though, for obvious reasons. Plenty of water in 2 big water tanks for drinking, cooking and bathing. It’s rainwater collected from the roof so best to filter or at least boil before using. 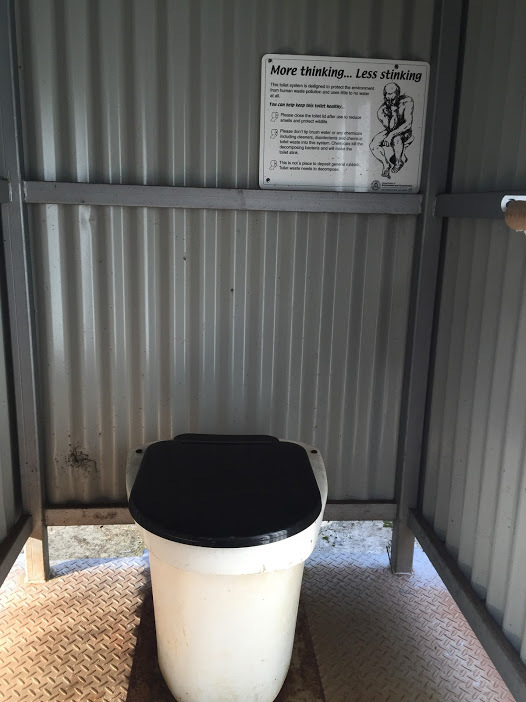 The loo. Self-decomposing type. No smells. While Sandy cooks his greens. With his mini kitchen he can probably cook anything. Check out the green steamer inside the pot. It’s a chilly 10ºC as twilight creeps in. 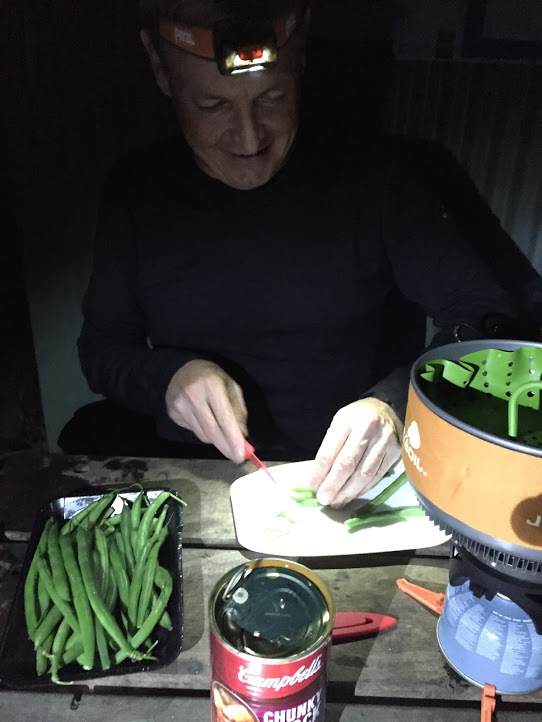 A quick wash and a hot dinner followed by a lengthy discourse on family, life and what lay ahead on the trail make it a perfect ending to a great first day on the Munda Biddi.